At the launch of the GAA World Games 2019 are: Westmeath's Dessie Dolan and Boidu Sayeh, Dublin's Lyndsey Davey, 6-year-old Nathan Dolan, 8-year-old Katy May Magee, Patrick Magee of Renault Ireland and Wicklow's Patrick O'Connor. ©INPHO/Morgan Treacy. 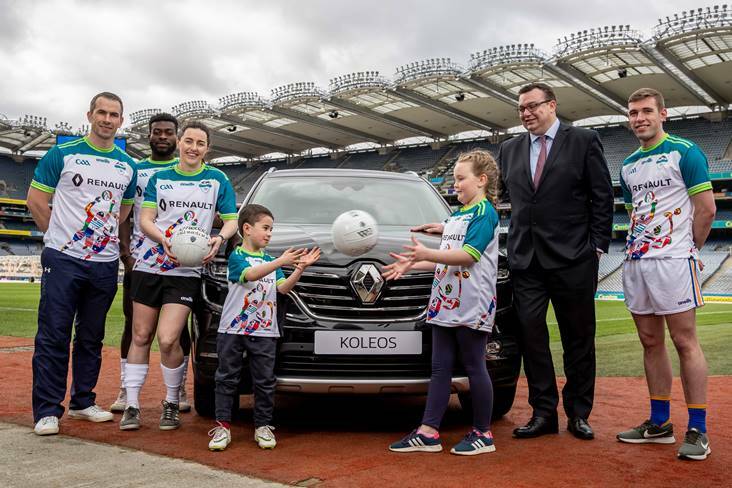 The countdown is on to the Renault GAA World Games 2019, and the drive to the Deise has started with today’s launch of the programme of events in the host county of Waterford. The initial stages of the Renault GAA World Games will be played out at the Sports Campus of Waterford Institute of Technology in Carriganore from July 28 to August 1, with the finals taking place on August 2 at Croke Park. This is the third-ever staging of what is a major international festival and celebration of Gaelic Games participation all over the globe, and this summer features a record breaking 97 teams totaling 1,300 players coming to the South-East to take part. The unique feature of the Renault GAA World Games is that there is competition for Irish-born and also native-born (non Irish born) teams representing more than 10 regions round the world. More than 60 international teams will be twinned with local clubs from across Waterford GAA with the emphasis on a social and cultural exchange, and the competing teams and Waterford GAA clubs will take part in a major parade that marks the start of the World Games in Waterford City on Sunday, July 28. Waterford City is being primed with flags and banners of welcome for the visit of a festival expected to bring up to 5,000 additional people into the city and county for the week. Uachtarán CLG John Horan said: “The Renault GAA World Games is a testament to the phenomenal amount of growth which is taking place in World GAA. “All over the world there are new clubs, new record numbers of participation and new people being introduced to Gaelic Games for the first time, and these Games will be a celebration of that. There are eight world titles on offer for Irish born and then native-born teams in men’s football, ladies football, hurling and camogie. The prize in Waterford is the right to get to make the trip to play at Croke Park. Ladies Gaelic Football Association President, Marie Hickey commented: “We are looking forward to a festival of Gaelic Games in Waterford later this year, and it is great to see such strong representation once again from Ladies Gaelic Football. The Renault GAA World Games continue to go from strength to strength and the LGFA is delighted to play its part in such a prestigious event. Participating teams in the Renault GAA World Games 2019 will be certain to look the part courtesy of the backing of O’Néills, who are again the official kit suppliers to the festival. The eye-catching designs for each of the competing nations have been finalised and are sure to be a hit with locals as they support the nations they have been twinned with for the week. Cormac Farrell, Business and Marketing Manager for O’Néills said: “O Néills are delighted to supply playing kit to all the teams at this year’s World GAA Games 2019. While it brings its challenges in designing different styles for all teams, the end result is always hugely satisfying when the teams take to the field in an eye-catching array of colourful jerseys! “These team jerseys prove to be a hit with both players and supporters and can be purchased as a souvenir of this fine event from our ONÉILLS.COM webstore. 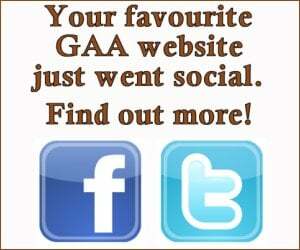 There are now more than 400 GAA Clubs in existence outside of Ireland and this is reflected in the presence of 97 teams that are confirmed for the Renault GAA World Games and representing clubs from across Europe, New York, USGAA, South Africa, Argentina, Canada, Britain, Australasia, India, Asia and the Middle East.